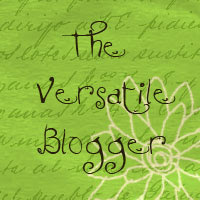 I was given this wonderful Blog Award by Bonnie at The Literary Gato. This is my first Blog Award. How cool is that? Thank you Bonnie at The Literary Gato. c.) I love to travel but have developed a fear of flying (it hasn't stopped me, though). A Scottish woman, Helen, realized her food budget was over 150 pounds a month so she decided to see if she could feed her husband, her three kids and herself on fifty pounds a month. She is a fascinating read with great pictures of food, her kids and great stories she shares with us on her trials and tribulations. She makes me laugh a lot! A woman's plight to lose weight naturally and healthily via Weight Watchers. One thing in particular I love about this lady is she's not afraid to share her failures. That speaks volumes to me about her integrity and commitment. Her Blog is enjoyable and inspiring. 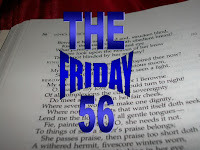 I love this Blog because of 'The Friday 56'. Every Friday, you open the book nearest to you, flip to page 56 and quote the 5th or 6th line down in an attempt to entice others to try the book out. It's a great way to find books you might not otherwise, bump books up your TBR pile and make new friends. This woman is on maternity leave and this Blog is her hobby. While her baby sleeps, she sets up scenes around her, snaps a beautiful picture and labels it. The pics are gorgeous, creative, darling and real must-sees. Her tagline is: "I'd like to see into your dreams, my little girl." I've recently come across Amy's Blog and I enjoy it. I recently came across this Blog, too. I like it. It's picture-heavy and has lots of sights of Vienna, Austria. I'm really loving it! This Blog is hysterical. She's got comics and jokes and lovely quotes and a wonderful attitude toward life that seeps right into you. This is a Blog documenting a couple's plunge into wedding planning - they are now less than two months away from the DAY! It's such a great read. She asks for advice, keeps us up to date on where they're at in regards to all those details/to-do lists of wedding planning and loves their anonymity. The Blog of a dozen cats - so far! I love the background of this Blog, the entries (made by the cats themselves) and the warmth. It's so much fun to visit. The comments are as entertaining as the Blog posts and when you're done for the day - no cat hair! Unless you're like me and have a cat draped across your arms as you (try to) type. Karen Burgess is an unpublished author with a great Blog - and a great manuscript, by the way. It's only a matter of time before she gets her mystery published - I'm sure of it! She has an audio short on Sniplits. 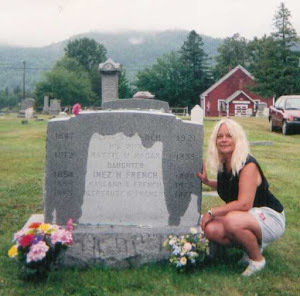 "Detective Kathy Martinez convinced Lerone Johnson to do the right thing and testify against the man who killed her neighbor. So when the jury fails to convict him, Kathy feels she must protect Lerone and her daughter. Sometimes doing the right thing just isn't easy...."
The audio story is $0.88 - can you beat that? Ellen Whyte's Blog is about cats and reviewing books. I just found it the other day and am loving it! Very funny Blog. She is really funny! Her posts are inventive, clever and make you laugh out loud. This awesome Blog asks one question a day. The idea is the Blog is your interviewer and over the course of 10,000 questions, "You would end up with a comprehensive portrait of not only your surface thoughts, but also your deeper inner wisdom and insights. You would learn your whole story." Rebecca used to do the Monday Musings, a fun meme. She would post a question about books (what have you used as a bookmark, what should be on a 'best book' list and so on) but stopped due to time constraints. She still updates her Blog and it's still enjoyable. She's got a bunch of cool blogs. It's fun to poke around and see what she's making, reading or thinking! There are other Blogs I visit that deserve this award, too. I think it's so much fun!! This is a cool weekly thing from Story Time With Tonya. "Mrs. Owen's jewels. Mrs. Owen my foot! I don't believe there's any such person." Oooh, it makes me want to read it all over again! I loved this book. A great mystery - well, of course. 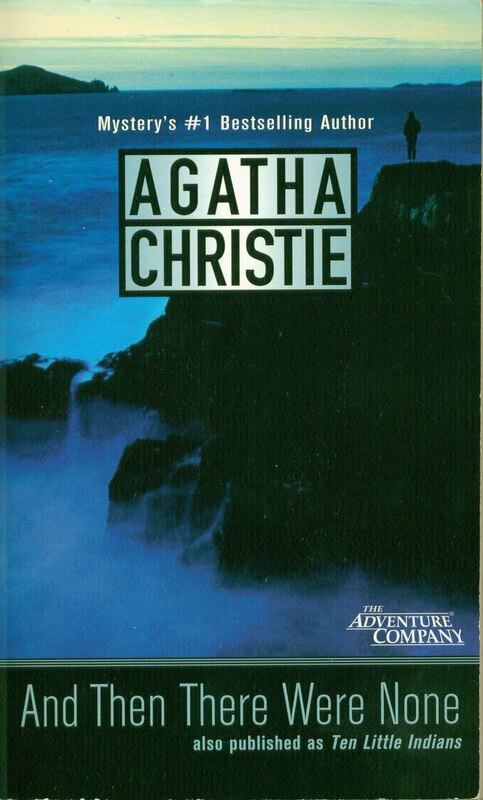 It's Agatha Christie and I love her. This was the book nearest me - one I wrote but have not yet published - so I thought, hey, why not give it a looksie? See what's on page 56, the 5th line down. "Chip grabbed at his thigh but there was no gun. 'He's back. He's come to curse us all!'"